The British press was highly antagonistic against Jeremy Corbyn when he was running for and got elected as the leader of the Labour Party. 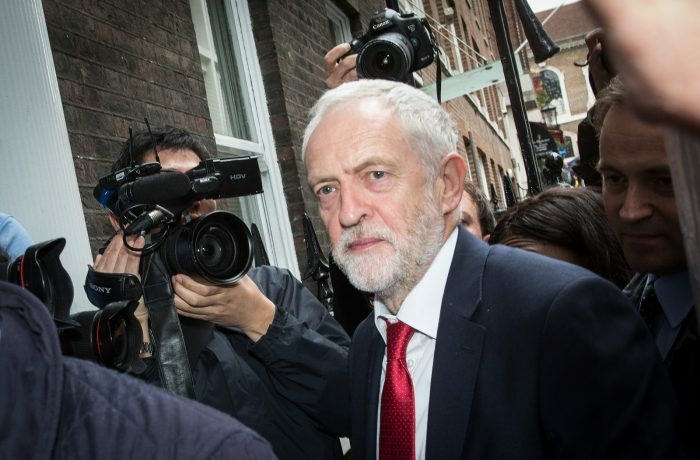 London School of Economics researchers Bart Cammaerts, Brooks DeCillia and João Carlos Magalhães investigated the coverage of eight national newspapers during the two months before, and two months after Corbyn’s election. The authors first gathered a list of all published news articles, editorials and opinion pieces that mentioned “Jeremy Corbyn”. Then they randomly selected every fourth text, arriving at 812 pieces. These texts were then coded according to their overall tone, sources used, presence of Corbyn’s own views and possible personal attacks. The coders also indicated whether the texts depicted Corbyn as a danger or an associate of terrorists. Overall, a total of 57 per cent of all texts were openly antagonistic or critical towards Corbyn. Little over 30 per cent were neutral, and only about 10 per cent were positive. As expected, both positive and negative tones were more common in opinion pieces than in hard news articles (at the expense of neutral tones). In hard news, all newspapers were more negative than positive towards Corbyn. Two newspapers (Daily Mirror and Independent) published more positive than negative opinion pieces, while Daily Express published only neutral opinions. The remaining five papers were all-round more negative. Still, there were differences between “rightwing” and “leftwing” newspapers, the authors note. Over half of The Guardian‘s articles were neutral and some 20 per cent were positive. In comparison, over 70 per cent of Daily Express‘ texts were antagonistic and none were positive (little over 10 were neutral). Other slights include depicting Corbyn as an associate of terrorist organisations and an enemy of the British people, attacks on his appearance and personal life, and misrepresentations of his views. “Much of the reporting on Corbyn was characterised by a sensationalist post-truth journalism conflating prejudiced opinion with news reporting”, Cammaerts, DeCillia and Magalhães write. As a whole, the British press acted towards Corbyn less like a “watchdog” and more like an “attackdog”, acting on behalf of the status quo, they conclude. The article “Journalistic transgressions in the representation of Jeremy Corbyn” was published by the journal Journalism. It is available online on the publisher’s website (abstract free). A pre-publication version of the article is available from the London School of Economics online repository (open access). Picture: Rt Hon Jeremy Corbyn, Leader of the Labour Party, UK, photograph courtesy of Chatham House, licence CC BY 2.0.